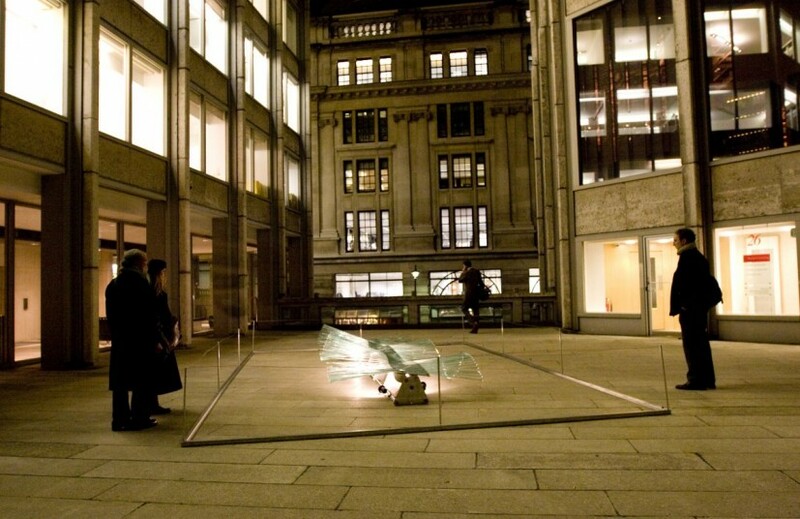 The Contemporary Art Society and The Economist Group are pleased to present Light Wave at the Economist Plaza. 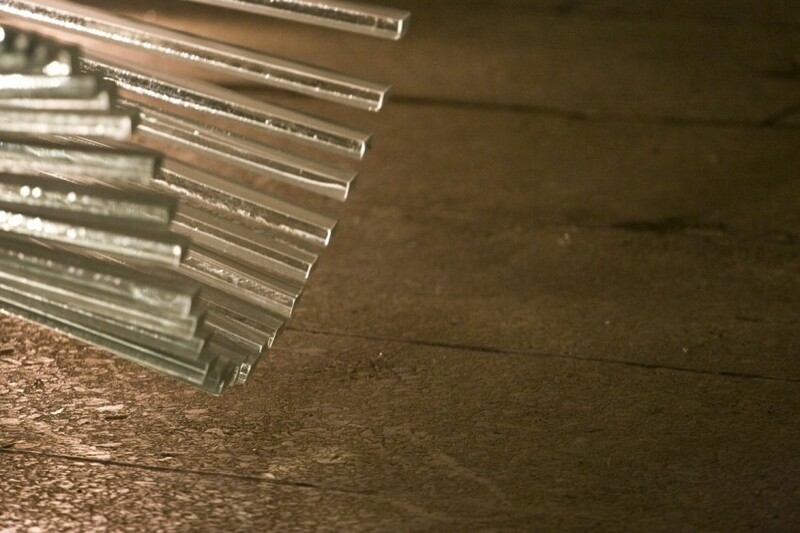 Stemming from an early fascination with illusion and movement, Tom Wilkinson’s kinetic sculptures draw inspiration from astronomy and metaphysics. His work reflects the constant motions, cyclical patterns and kinetic energies that are universally present in our surroundings, and the patterns that they form. 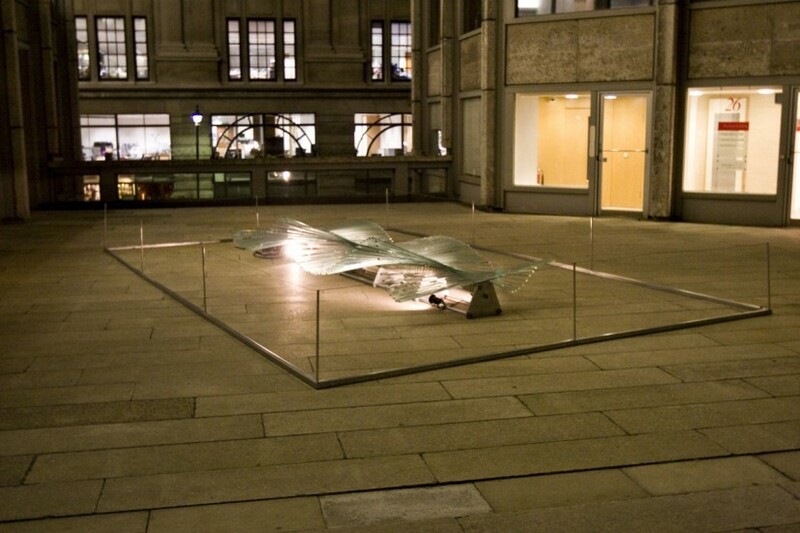 Wilkinson also investigates the ambiguous nature of matter; the glass in Light Wave appears to be molten, inviting us to reflect on the paradoxical nature of glass as an amorphous solid. 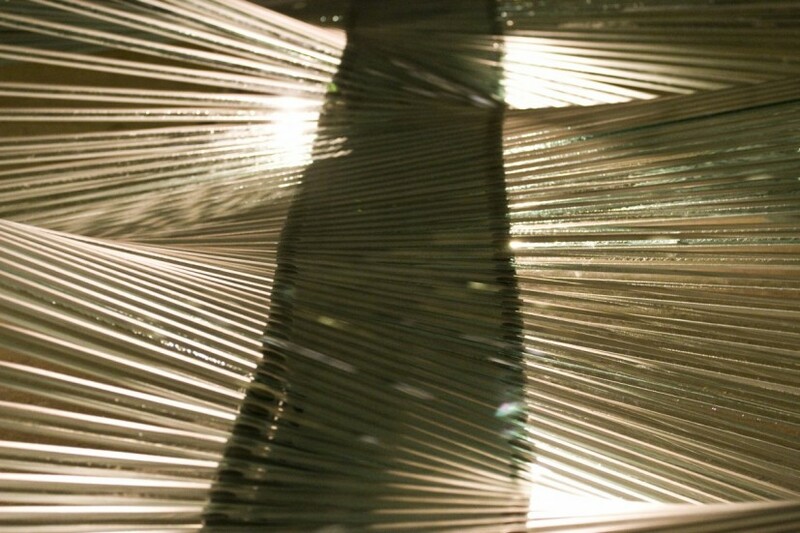 In 1998 Wilkinson began to experiment with spinning lines of lights with traces that produced voluminous forms. 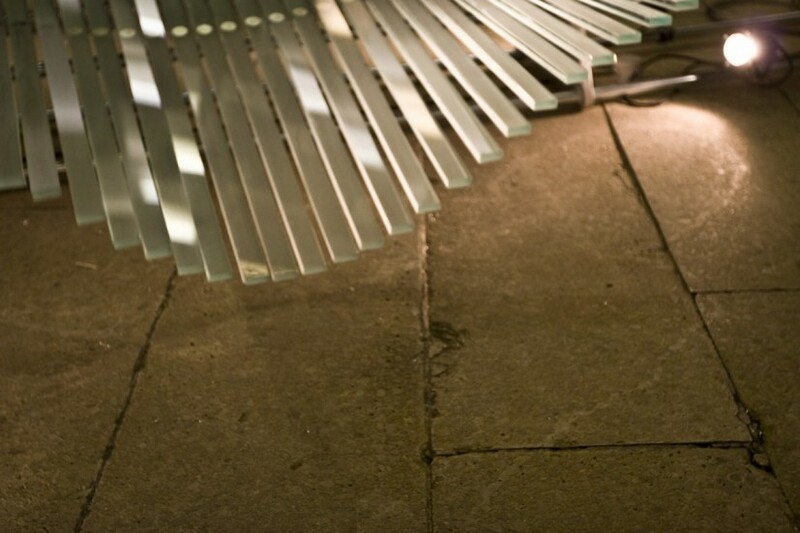 The sculptures Green Ray and Let’s Bounce, which create illusory balls of light in mid-air, have the presence of laboratory apparatus and suggest an unfinished journey. These works explore concepts of dimension and reality within the physical world by recognising that seemingly solid physical objects are made of particles in motion with vast gaps of nothingness within their atoms. The sphere, the purest form in the physical world, is of particular interest to Wilkinson, as the shape to which all matter, when fluid, gravitates. 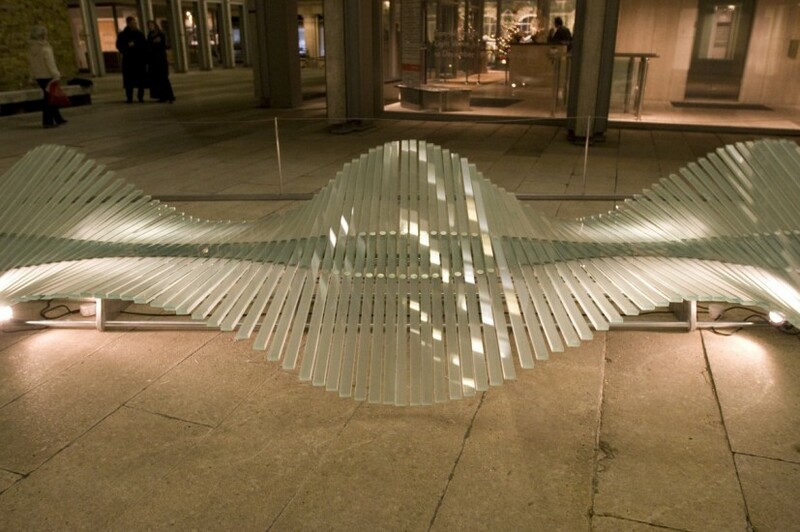 For the past seven years, Wilkinson has concentrated on wind sculpture for his public artworks, finding the directness of wind energy particularly appealing. He is attracted by the concept of transforming everyday discarded objects into art. He has constructed huge wind sculptures using plastic bottles, CDs and other disposed items. Tom Wilkinson has public artworks commissioned for Magna Science Park in Rotherham, Gallery Oldham, and Salisbury District Hospital, Hampshire. His work is held in the collection of the Gallery of Modern Art, Glasgow, and has recently been exhibited with Kinetica Museum in the group London shows; In Flux and Creatures Great and Small, the latter currently touring in Budapest and Prague early in 2009.